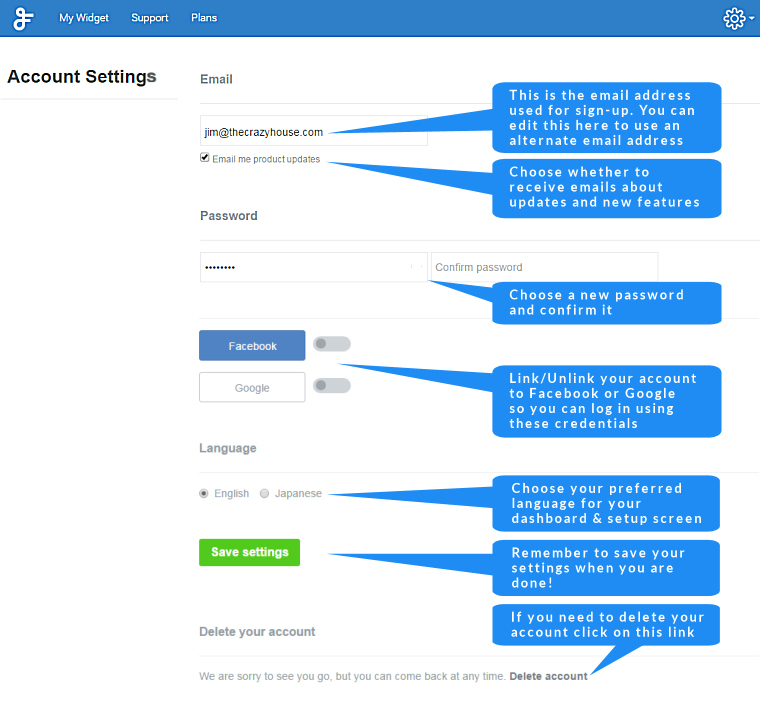 Managing your account settings Change your details such as email address, password etc. When you sign up, you will automatically get access to a free 14-day trial. This gives you a chance to enjoy all the features of our Plus plan which allows you to save up to 50 widgets. You can subscribe to the Basic, Pro or Plus plan at any time during the trial period. If you decide not to subscribe, all widgets will automatically get disabled. Any widgets you have created during the trial will still remain in your dashboard (but not accessible) in case at some point in the future you wish to subscribe, at which time they will be re-enabled. 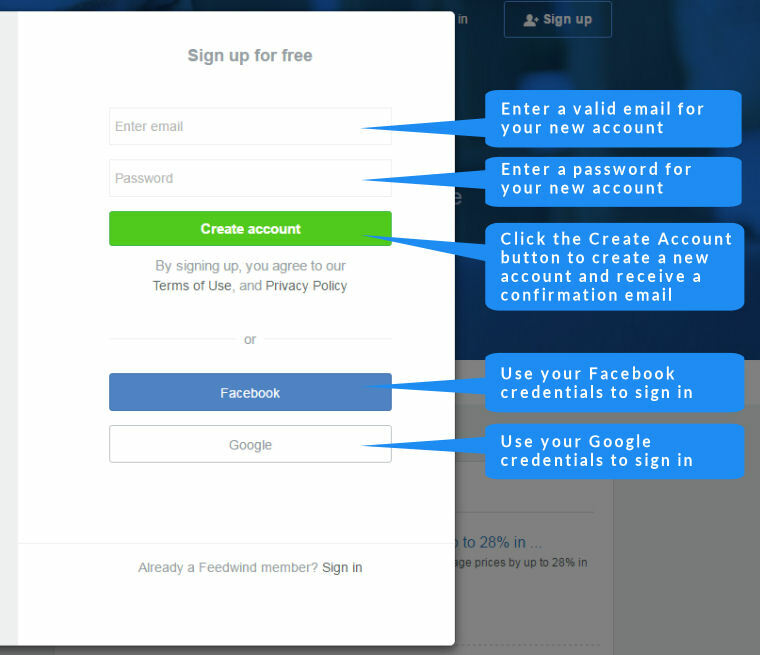 As soon as you hit the Create account button or finish logging in through Facebook or Google, you will be directed to the Setup screen where you can start creating widgets. If you need to update your settings, click on the settings icon (a cog wheel) in the main menu bar. This will open your profile and account settings where you can make changes to your details including your email address, your password, your links to social media accounts and the language that your dashboard and setup screen uses (English or Japanese). If for any reason you need to delete your account, you can do so from this settings screen. You can always come back and create another account again in the future. NOTE: If you delete your FeedWind account, you will lose all the widgets you have saved. The FeedWind dashboard is an easy to use library of your widgets. 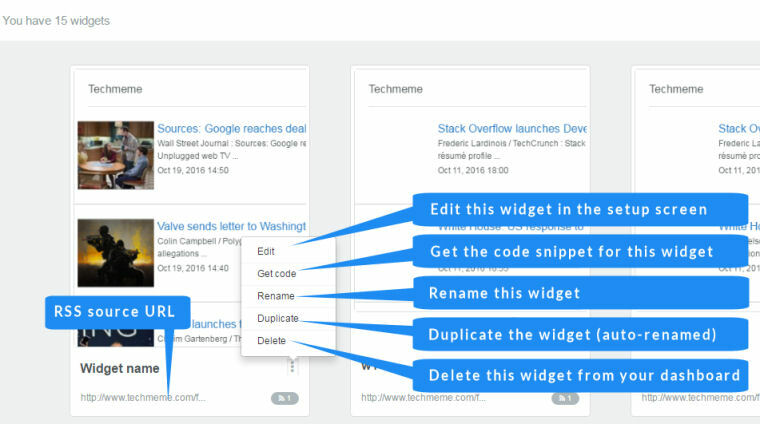 From the dashboard you can edit your widget, get the code snippet, rename, duplicate and delete the widget. You will get a confirmation message before any deletion changes are applied to avoid you deleting your widget in error. There are limits as to how many widgets you may save, depending on the type of account you have. Please take a look at our Plan page for more detail.